This is a vintage 35mm. 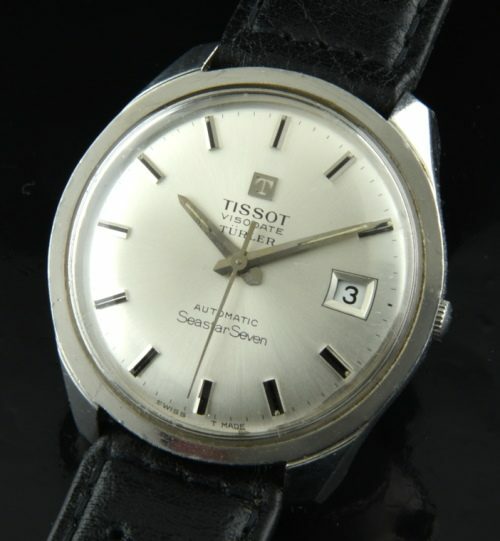 TISSOT Visodate Seastar Seven sold by “Turler”. 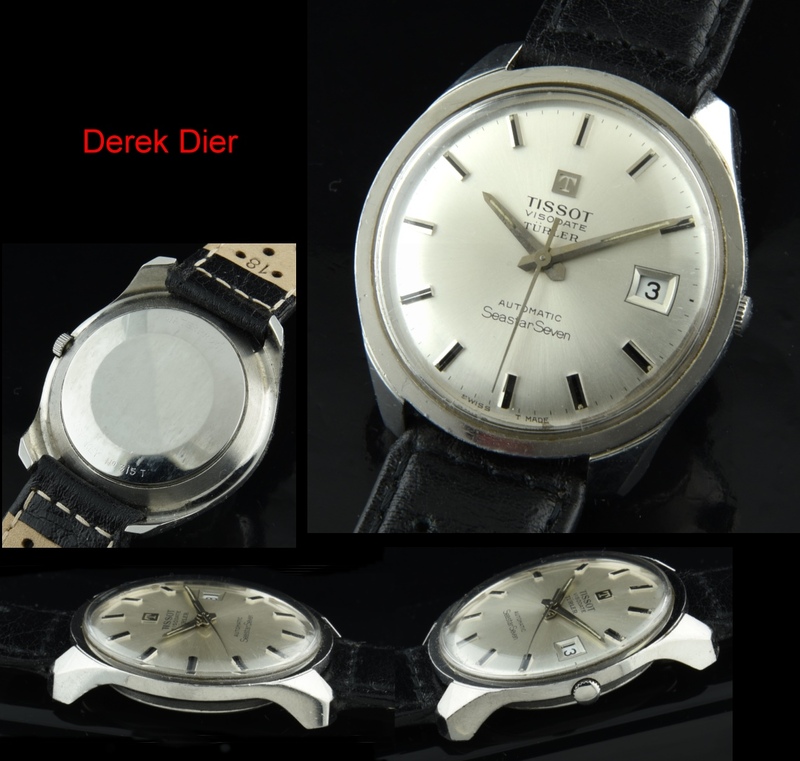 Notice the asymmetric date aperture, pencil hands and very clean original dial. The 35mm. steel case with recessed crown and down-turned lugs looks very good. The automatic winding TISSOT movement was just cleaned and is accurate. At this low price, you are getting a fine quality vintage 70’s watch which will run for a lifetime.